This digital collection features select items from the Bertha M. Carter collection on the Hood, Pargellis, and Carter families (MS-0151), which dates from the early nineteenth to mid-twentieth centuries and consists of correspondence, diaries, legal and financial papers, photographs, and printed ephemera relating to the Hood, Pargellis, and Carter families of Hull Prairie, Wood County, Ohio. This digital collection contains only a selection of items from the Bertha M. Carter collection on the Hood, Pargellis, and Carter families. The full collection is available for research at the Center for Archival Collections. View the full collection finding aid. 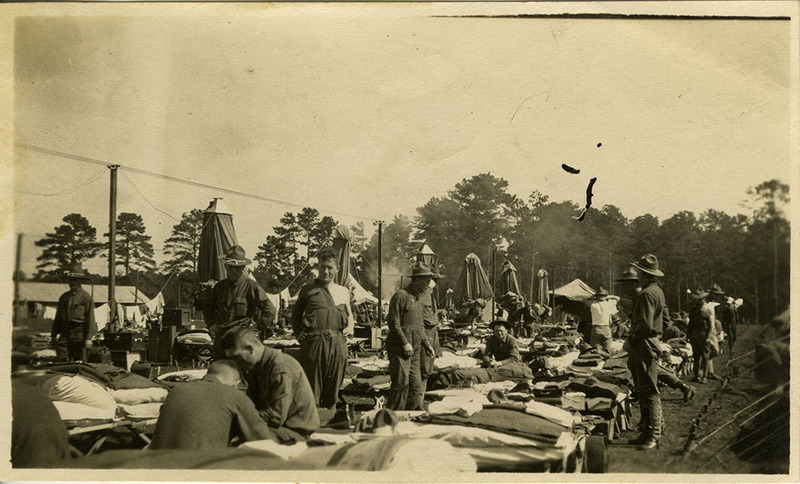 "1918 Co. H in Black Belt in Alabama near Montgomery"
Ohio National Guard, 2nd Infantry Regiment, Company H at Camp Sheridan, Montgomery, Alabama. Once formally drafted into federal service, Company H was reorganized as Company F of the 146th Infantry, 37th Infantry Division, American Expeditionary Forces. 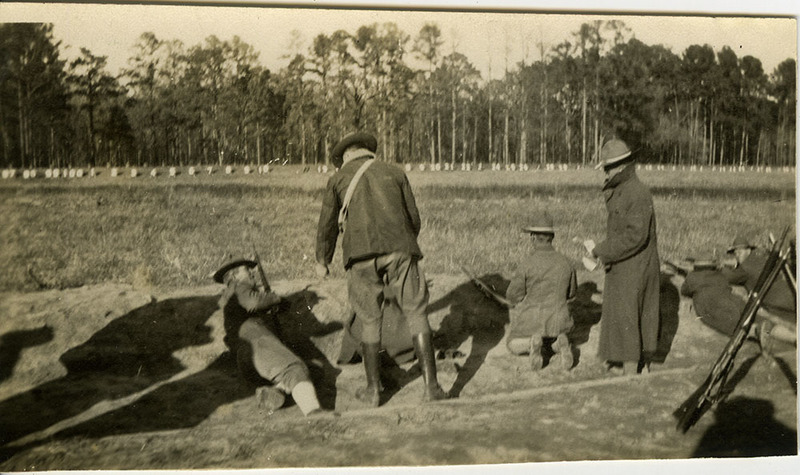 "Co. E, 37th Engineers, Ft. Myer, VA. May 1918"
Panoramic photograph of 37th Engineers, Company E. John Richard Carter of Hull Prairie, Ohio, is in the second row, fifth in from the right. Liberty Bond in the amount of two dollars payable to H. C. Pargellis of Haskins, Ohio, May 15, 1918.